WP Calories is a wordpress plugin that allows you to add new widget to Your sidebar. 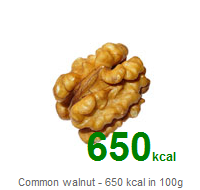 WP Calories shows a beautiful food photo whith big calories ( kcal ) description. 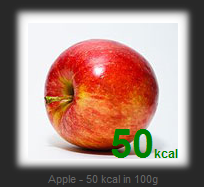 WP Calories is an essential plugin for all site/blogs the subject of health food and diets. 1. All of the photograph link (nofallow) to the relevant Wikipedia pages, so anyone interested can learn more about the fruit shown. 2. Photo is described by the large text of amount of calories, as well as a one-line description under the photo. I cant have any widget under this one because then your widget goes “in to” the other widget.